Auto Sitemap Updater | Best Amazon Affiliate Themes And Plugins Ever Seen! Home » Auto Sitemap Updater! Auto Sitemap Updater is a small, but very useful tool for all sites that use any kind of robots for auto posting. The main idea of our tool is to make your posts more unique! We all know how much time we can save when we use different robots. And it`s really cool! But the main problem of all robots is that they don`t care about your sitemap. They set the same time for all your posts and any search engine understands that all these posts were created automatically. That is not good. Why the first sitemap is bad, and the second one is good? The answer is easy – time in first sitemap is the same for dozens of posts! And the second issue – the date of all your posts will never be updated. Even if your robot will update the content of your post, it will never update it`s date. 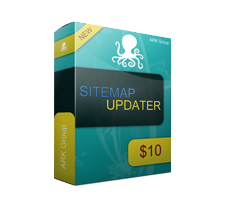 So what Auto Sitemap Updater will do for you? Auto Sitemap Updater will automatically generate a unique date and time for all your posts twice each day and rewrite your sitemap! So all search engines will see that all your posts are updated frequently and all your posts have a unique “Last Change” time.